PINEVILLE, La. 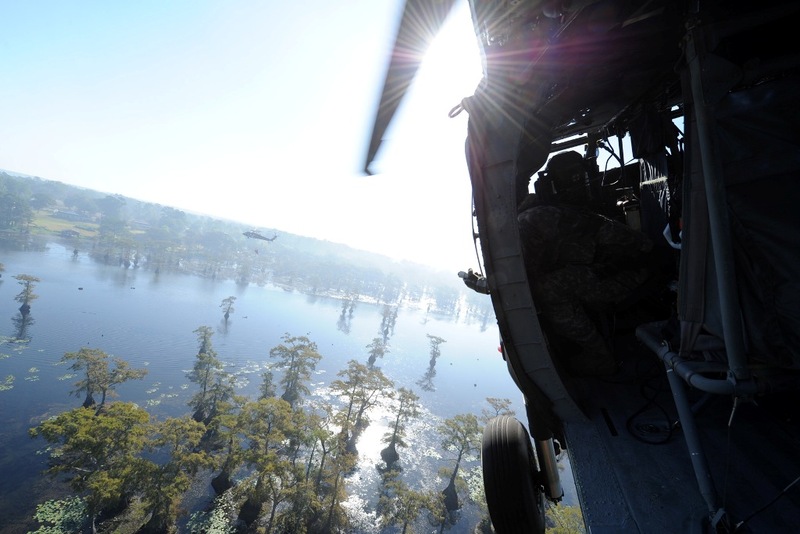 – The Louisiana National Guard’s 256th Infantry Brigade Combat Team participated in a brigade Warfighter exercise at Fort Polk in Leesville, May 5-20. 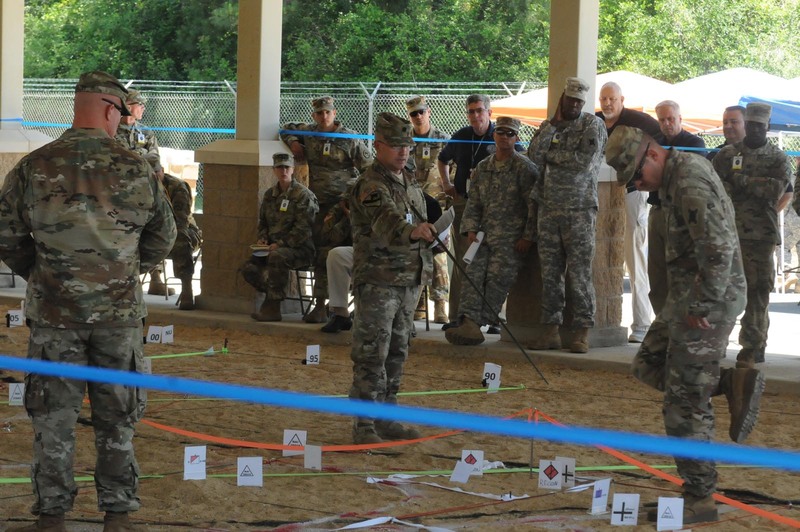 The Warfighter exercise is a two-week command and control exercise to test and evaluate a headquarters reaction, and methods of battle relating to its management and execution abilities, through a virtual battlefield. Mission Command Training Program provided the simulated training environment, mentors, observers, trainers and coaches to portray a free-thinking, near-peer threat. 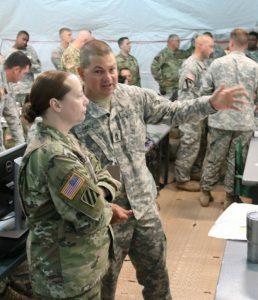 The MCTP supports the collective training of Army units at worldwide locations to train leaders and provide commanders the opportunity to train on mission command in unified land operations. The 256th IBCT began combat operations to push the opposing force out of the country and assist the invaded nation secure its internationally recognized borders. Role players assisted the units with the processes of working with host nation and nongovernmental organizations during the exercise. The Warfighter exercise tested the 256th IBCT’s staff members’ reactions to events in combat and their abilities to execute mission command. 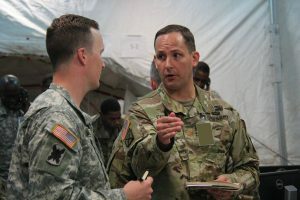 “We are able to effectively maneuver this brigade with less resources than we think,” said Lt. Col. William Rachal, commander of the 256th IBCT. 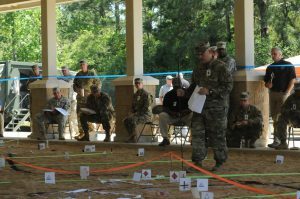 The exercise allowed the junior enlisted Soldiers to work with professionals in their job field and gain an understanding of how the brigade works on the battlefield. This allowed them to become more efficient and skilled in their set jobs, as well as learning the expectation the brigade has for them on the battlefield. 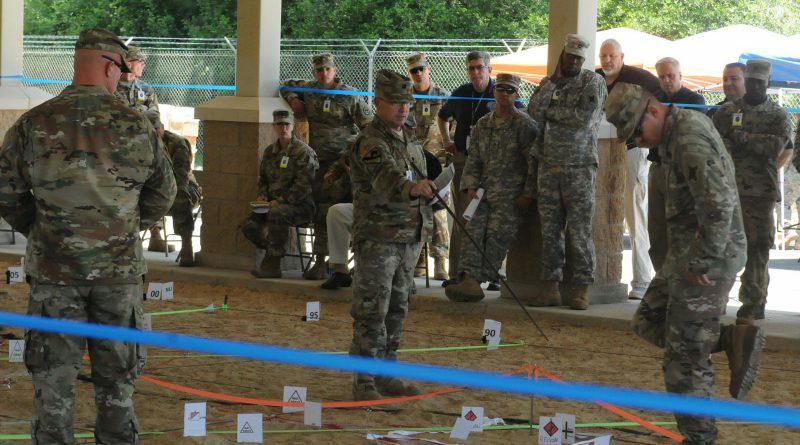 Next year the brigade will participate in an eXportable Combat Training Capability exercise at Camp Shelby in Mississippi, which is a field training exercise designed to certify platoon proficiency and used to check on the organizations progress over the last year. Capt. Patrick Boiling described warfighter as a step in the process to developing an organization to an optimal level for XCTC.